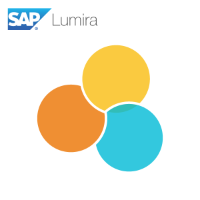 Download SAP Lumira free trial edition, one of the most visual reporting tools to display SAP reports easily in a fancy way which makes Lumira most powerful analytics product for ABAP and SAP developers. 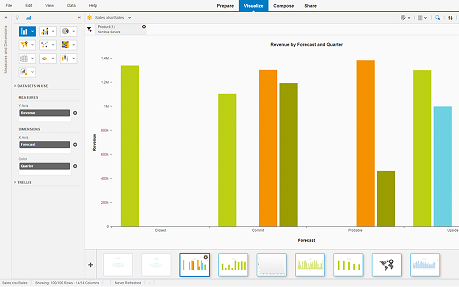 An important feature of the SAP Lumira Analytics product is it enables SAP users or ABAP developers, Business Intelligence professionals to create reports and visualize data without coding. 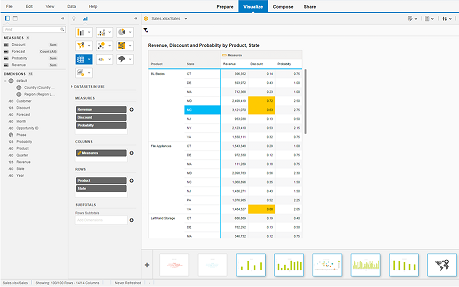 Here are some screenshots from SAP Lumira. Business Intelligence developers or data professionals who want to build reports and presentations in Story mode using SAP Lumira with data from SQL Server databases, they can install JDBC drivers for SQL Server and then connect Lumira to SQL Server database easily. Besides SQL Server, BI professionals can consume OData in SAP Lumira as an alternative data source for their self-service BI platform users. 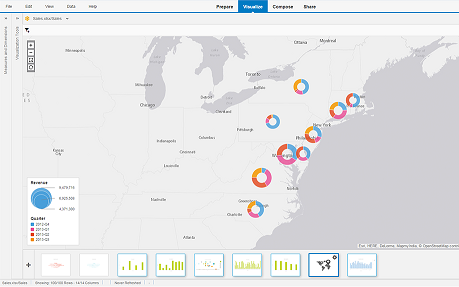 For small business intelligence developer teams, SAP provided a server platform called SAP Lumira for Teams to deploy their reports on the server platform where business users can be authenticated for related reports using their SAP logon or Windows user information and run reports vai HTPP protocal. SAP Lumira Server for Teams is worth to download and install for small groups of users. 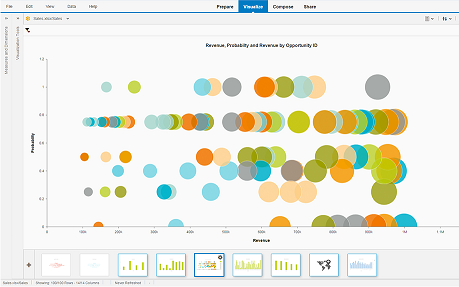 For more information on SAP Lumira and to see it in action visit official SAPLumira.com product web site.